Popular Radio and TV personality, Abeiku Santana, the Okay FM presenter has been tagged as a thief who deserves to be jailed for items he allegedly stole when his party was in power. 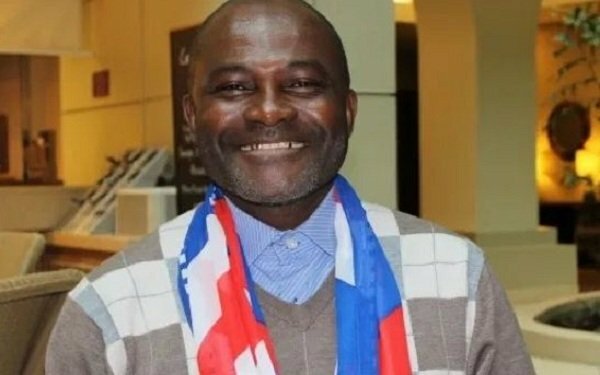 According to Member of Parliament for Assin North, Kennedy Ohene Agyapong, Abeiku Santana who is a known staunch support of the NDC party was involved in dubious activists when his party was in power and must answer for those actions. The Member of Parliament alleged that Abeiku Santana was involved in shoddy deals including selling a state vehicle to a businessman during the erstwhile John Mahama administration. Kennedy Agyapong described Abeiku Santana as a “crook” who deserves a jail term for all his shoddy deals when NDC was in power. He added if nothing at all, Abeiku Sanatana has no business selling state Vehicle to another person and should answer for that. Ever since the ruling NPP took over the ruling of Ghana, Kennedy Agyapong has turned himself into a one-man investigative body and has been “Exposing” illegal deals that allegedly took place when NDC was in power. Abeiku Santana is yet to respond to these grave accusations from the Member of Parliament.